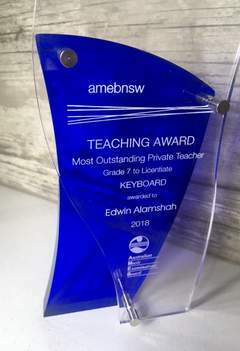 No.1 AMEB Private Teacher in 2018 for the category of 7th Grade to Licentiate! Komitas Music Performing Centre was established in Sydney in 1991 to introduce students to the great art of piano performance, where technique and expression is combined upon learning the piano. 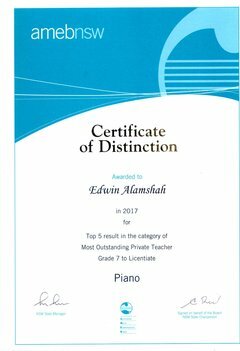 Performing at the highest echelon within my vocation of classical piano performance, conducting and composition, it is my ongoing commitment to advise and teach all prospective candidates so they achieve the greatest extent of their abilities. 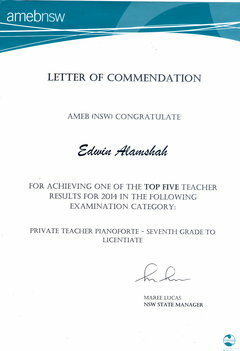 Receiving commendations as one of the Top Five AMEB Teachers for the examination category of Seventh Grade to Licentiate from 2012-2017, as well as being awarded the prize for achieving Number One Status in 2018, my aim is to promote excellence and achievement utilising a unique method with proven success. 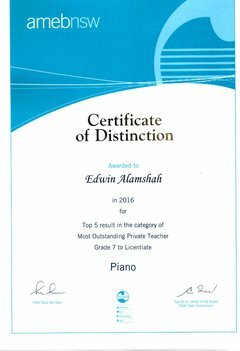 Most of my students have been awarded exemplary results in not only their respective AMEB and Trinity College of London examinations, but a range of prestigious piano competitions and scholarship opportunities local as well as international. For those aspiring musicians wishing to succeed at the highest level, KMPC can guarantee that you will receive every opportunity to fulfil your ambition becoming a successful musician and performer. 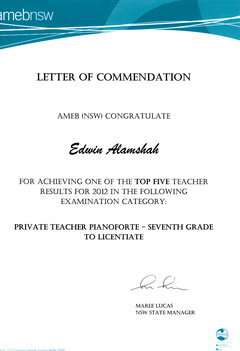 All AMEB examinations are conveniently undertaken at the KMPC Chatswood studio where students have gained familiarity with the piano.